When you think of cars that had a long production run with minimal changes the VW Beetle, Porsche 911, Alfa Romeo Spider, and Nissan Sentra/Tsuru all immediately come to mind. The Checker Marathon definitely should be included in this company. The Marathon was produced from 1961 until 1982 with very few meaningful changes. The changes made during the production run are so few they could be listed on a piece scratch paper. Checkers were notably used in NYC as yellow taxi cabs for thirty years due to their simple, durable design and absolutely massive back seat. 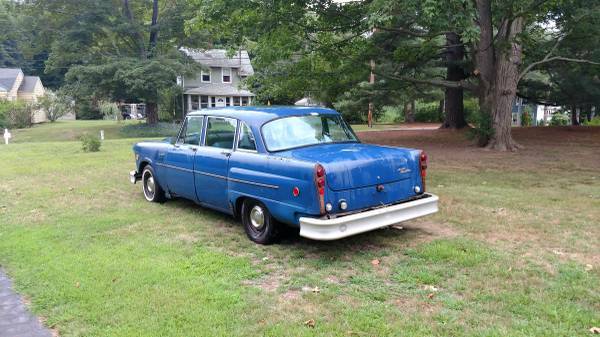 Find this 1975 Checker Marathon for sale in East Haven, CT for $2,000 via craigslist. 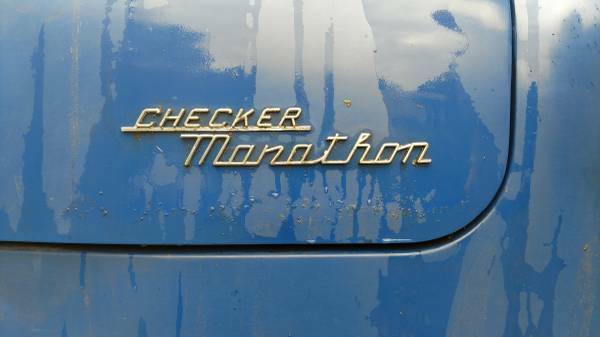 This is a consumer version of the Checker Marathon and came equipped with a Chevy 350 engine. 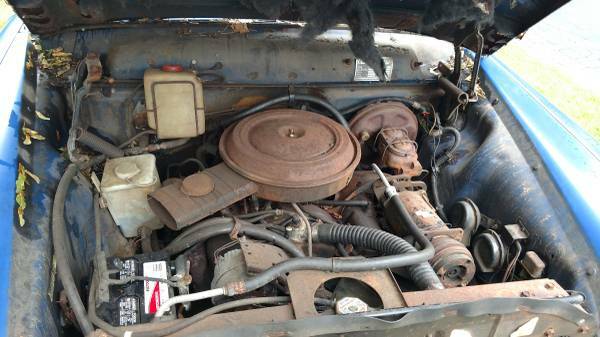 The seller speculates the engine may be a four bolt main, but is not 100% sure. The odometer reads only 92,000 miles, but this certainly is no garage queen. The car sat outside for many years so the elements contributed to rust and rot on the body. The good news is that the engine runs well and starts easily. The brakes do need immediate attention and car is also in need of two tires. 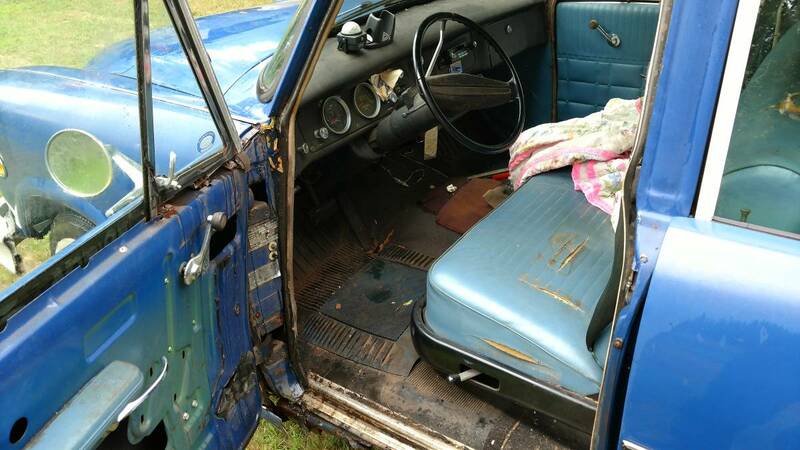 The seller notes the frame seems to be pretty solid despite the body issues and does make mention of mouse nests lurking around the car. The Marathon seems to have some of the most ungainly set of bumpers seen this side of a 1970's USA spec Mercedes. Taxi fleets also loved these Checkers because you could bolt on new rear quarter panels. I used to pass by a similar car on my dog walking route nearly ever day and marveled at the size of the back seat and available legroom. Enjoy the art deco-ish picture of the trunk badge below! 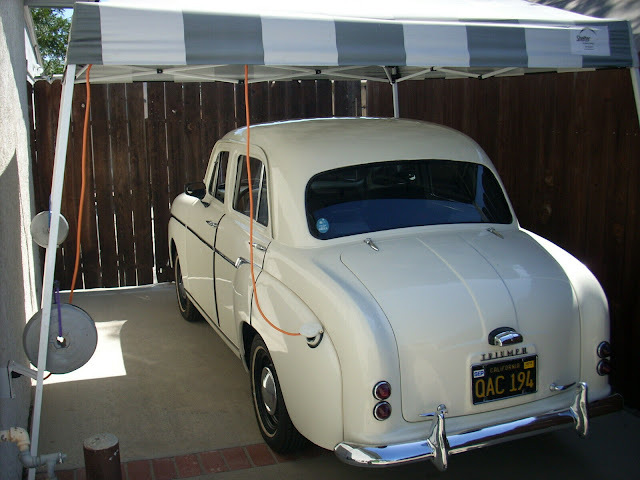 Cory's Mercedes C36 is finally back from the Dent Wizard and paint is now being worked on with his Porter Cable buffer. Great find! Hard to get good, stabile, breeding mouse nests in a rusty, smelly, undesireable car. Usually mice move on to cooler cribs. Long ago and a little bit south of New Haven I had a friend whose family drove only Checkers. I was just a young teen but I can remember thinking there's something very different about these folks.